CAUTION: Legal apps are not a replacement for official sources of law (available at the Hugh & Hazel Darling Law Library, in your employer's law library, or on certified governmental websites). What type of smartphone or handheld device do you use? If you use more than one type of device (such as the iPad and an Android phone), please let us know the types in a comment. Thank you! Bruins Safe is the official mobile safety app of UCLA. It sends safety alerts, gathers important campus safety resources in one place, and contains emergency contact information. The app is free and may be downloaded from the iTunes App Store for iOS devices and from Google Play for Android devices. LawStack bills itself as a "legal library in your pocket." The app is preloaded with the text of the U.S. Constitution, Federal Rules of Civil Procedure, Federal Rules of Criminal Procedure, Federal Rules of Appellate Procedure, Federal Rules of Evidence, and the Federal Rules of Bankruptcy Procedure (as effective as of December 1, 2009). Once LawStack is downloaded to your device, you may also download titles of the Code of Federal Regulations, the U.S. Code, and statutes from a number of states, including California, as in-app purchases of approximately $1.99. 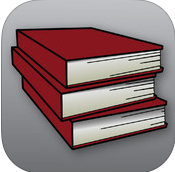 LawStack is FREE and may be downloaded from the iTunes App Store. 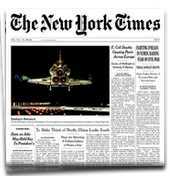 Allows you to access the latest news articles and photos that appear on NYTimes.com. The app also lets you customize the toolbar to show your favorite sections of NYTimes.com. The app may be downloaded from the iTunes App Store for use on iOS devices and from Google Play for use on Android devices. A curated list of apps, by category. You may disagree with whether a particular app is the "best" in any category, but this will get you started and show you the variety out there. This blog posts frequent reviews of iOS software, from a lawyer's perspective. To skip right to the reviews, click here. Described as a collection of all of the mobile app coverage that has appeared in The New York Times. Includes lists of favorite apps from Times writers. The Amazon App Store is curated by reviewers. Android users may search, browse, and purchase apps in the store and special discounts on apps and a "free app of the day" may be offered. This site allows users to browse iPhone and iPad web apps online, outside of iTunes. AppsZoom (formerly AndroidZoom) is a search alternative for Android, and now iOS, users. Apps may be downloaded from the site by using links or scanning QR Codes. Available online and as a download for Blackberry smartphones. Users may browse and search apps. Evernote App Center (formerly Evernote Trunk) is an app store for Evernote users and Center features many add-ons for users of the Evernote mobile productivity app. Users may browse--and now search--for Android apps at this site both from their devices and online. Google Play was formerly known as Android Market. Users may browse and search for Windows Phone apps at this site both from their devices and online.